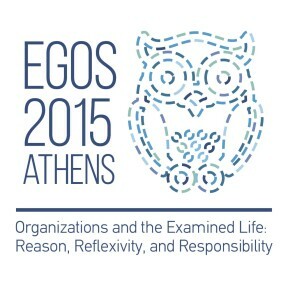 Leonhard Dobusch, Georg von Krogh and Richard Whittington are convenors of a sub-theme at the upcoming 31st EGOS Colloquium, July 2-4 2015 in Athens, Greece, on “Open Organizations for an Open Society? Practicing Openness in Innovation, Strategy and Beyond“. [O]n the level of organizational practices, we need more research that addresses the challenges implied by greater openness in terms of organizational structures, boundaries and culture. And on a broader level, the boom of openness, as recently pointed out by Nathaniel Tkacz (2012), is curious within a supposedly already-open society (Popper, 1971). Why is there such a demand for openness and what does this tell us about society at large? The growing popularity and diversity of openness as a concept deserve more comprehensive theories of openness, looking at both limits and potentials of organizational openness. This sub-theme, therefore, seeks to advance our understanding of openness in different fields. Deadline for submission of short papers (3.000 words) is January 12, 2015. This entry was posted in Call for Papers and tagged CfP, EGOS, EGSO 2015, Georg von Krogh, Leonhard Dobusch, Open Strategy, Openness, Practicing Openness, Richard Whittington, sub-theme. Bookmark the permalink.